Babylonstoren is an exquisitely preserved Cape farm dating back to 1692. 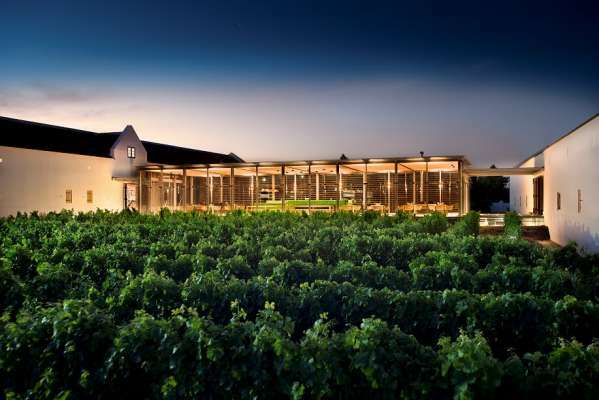 Set amid vineyards and orchards in the Drakenstein Valley, the sophisticated farm hotel invites guests to enjoy the entire farm and its modern spa and gym. At the heart of the farm a one-of-its-kind garden spanning all of 8 acres and supplying the well-known restaurant Babel. 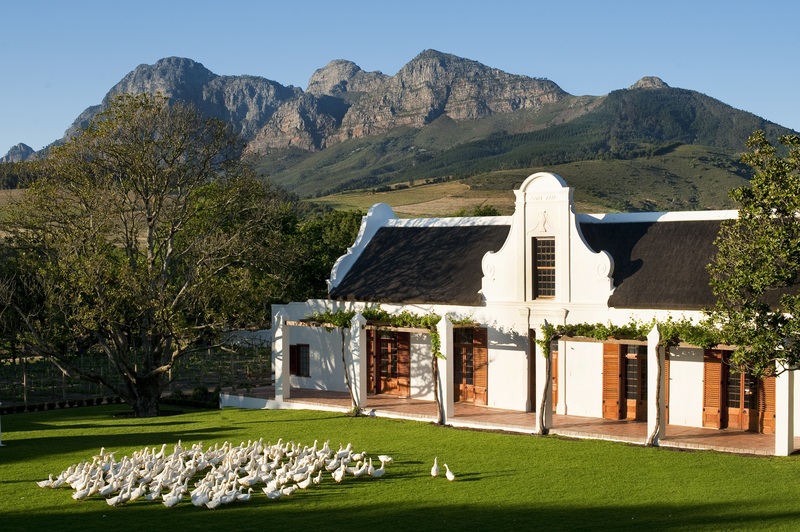 Guest suites echo historic Cape Dutch farm buildings, with characteristic whitewashed walls, gables and thatched roofs. 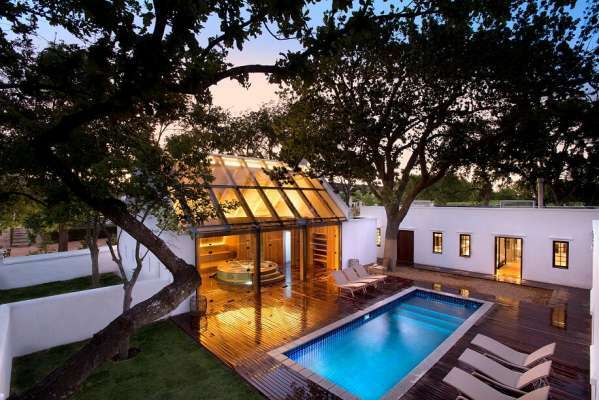 The Farmhouse Suites are the newest accommodation: 9 one-bedroom suites with access to a swimming pool and hot spa area. STAY 4 PAY 3 SPECIAL OFFER: Get your 4th night complimentary at Babylonstoren between 01 May and 31 August 2019. Subject to availability. Bed and breakfast, Harvest tour, Cellar tour, bread baking with bakers, cycling and canoeing on farm dam, garden walks. Groups of up to 24 can be accommodated for conferences. Equipment on hand includes computer, printer, data / video projector, flip charts, high-speed internet access in conference room, microphones, PA system, photocopying facilities, projector, screen and wi-fi areas.